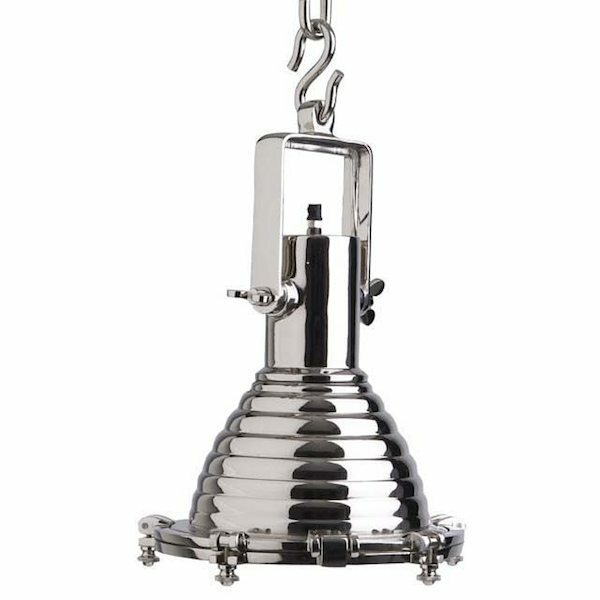 This beautiful and tough La Marina pendant lamp industrial by Eichholtz is a thematic lamp. 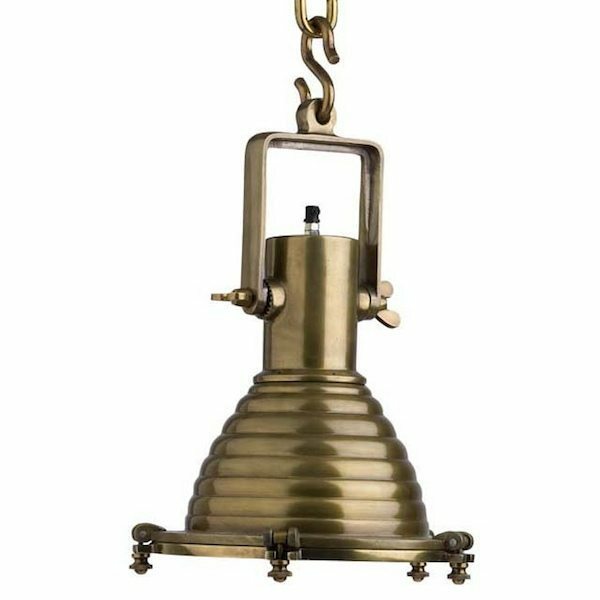 Both in nickel as in its brass this embodiment is a lamp that has a marine style. The appearance of this lamp looks like it belongs on a cruise ship has a distinct look because of it. Ideally suited for an industrial style living or as one of a kind eye-catcher in a modern style. The lamp has a diameter of 35 cm and a height 48 cm. In total, the lamp has a maximum height of 150 cm (incl. Chain and cord). 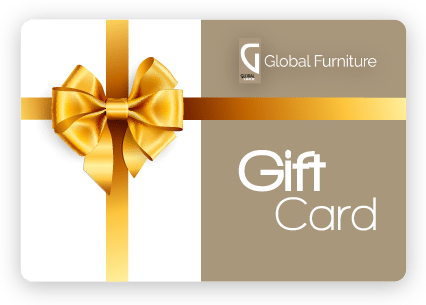 Available in nickel and brass version. The lamp has a standard E27 socket for a maximum 75-watt bulb. The lamp is also suitable for LED and CFL / halogen. You can shorten the chain to an adjustable height to your liking. This makes the beautiful clear glass plate on the underside always visible.